Stunning 5 bedroom top floor flat in traditional Edinburgh tenement, with high ceilings and decorative cornices throughout. Ideal City Centre location, with the tree-lined haven of the Meadows on your doorstep, and within a 10 minute walk from Castle and Princes Street. Cinema, Theatres, Shops, Restaurants and Bars are all minutes away, as are Golf, Cricket, Croquet, Tennis Courts, Football, Swimming and Childrens play areas. Lauriston Gardens itself is set within a quiet street, and is within walking distance of all the Capital's historic attractions. There are three extremely spacious double bedrooms, two singles, a fitted kitchen, large bay-windowed lounge, bathroom and separate shower-room. It has gas central heating, large flat screen LCD cable television, DVD player and wireless broadband. 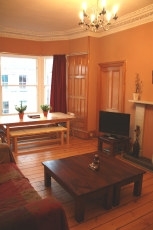 The flat comes fully equipped with everything you will need for a wonderful and memorable stay in this historic city. This centrally located top floor flat offers extremely spacious, comfortable and clean accommodation in the very heart of the city. 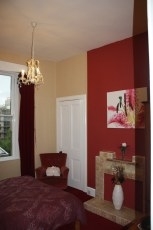 Its ideal location makes all of Edinburgh's many attractions within easy reach. The master bedroom has large double windows, marble fire place, decorative cornice, chandelier and double sofa bed. There are a further two extremely spacious double bedrooms and two single bedrooms. The large bay windowed lounge has traditional wooden floors, decorative cornice, chandelier and marble fireplace, large flat screen cable television, DVD player, comfortable sofas and chairs, and spacious dining area with solid birch dining table capable of seating 10 in comfort. The kitchen has fridge, freezer, electric oven, gas hob, microwave, toaster, kettle, coffee maker, washing machine, all crockery, pots, pans, cutlery and glassware. 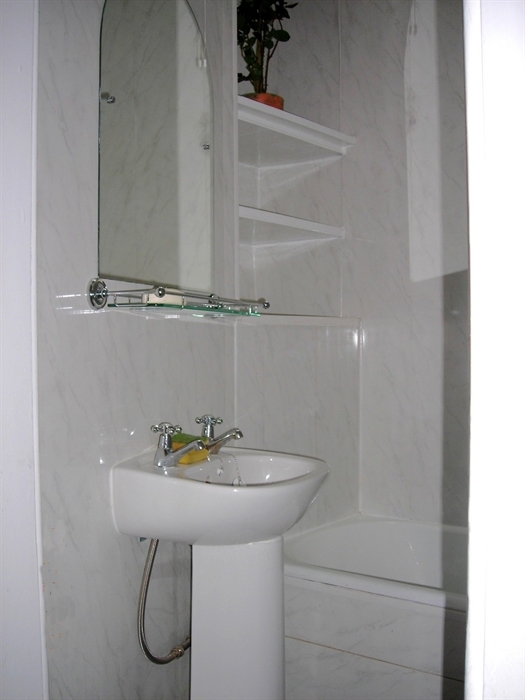 The newly fitted bathroom has a large ceramic bath, arched mirror over washhand basin, and power point for shaving. The shower-room has tiled flooring, radiator and power shower. The Flat is centrally-heated throughout. Bed linen, towels, tea towels, iron and ironing board, hairdryer, hoover and clothes dryer are provided. Price includes gas, electricity and internet access. Metered parking is available dirtectly outside the flat, free parking is available 1/2 km away in Marchmont. 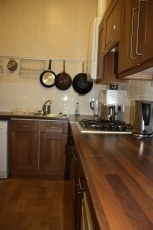 Up to 6 people, for 2 nights @ £200 3 nights @ £180 4 nights @ £160, 5 nights or more @ £150 per night. 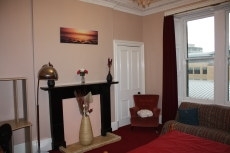 Up to 8 people, for 2 nights @ £220 3 nights @ £200 4 nights @ £190, 5 nights or more @ £180 per night. 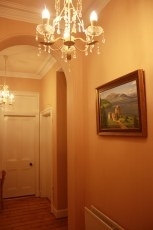 Up to 10 people, for 2 nights @ £250 3 nights @ £230 4 nights @ £210, 5 nights or more @ £200 per night. Up to 6 people, for 2 nights @ £280 3 nights @ £270, 4 nights @ £260, 5 nights or more @ £250 per night. Up to 8 people, for 2 nights @ £300 3 nights @ £290, 4 nights @ £285, 5 nights or more @ £280 per night. Up to 10 people, for 2 nights @ £330 3 nights @ £320, 4 nights @ £310, 5 nights or more @ £300 per night. 20% Deposit will secure all bookings. Balance must be paid in full within 4 weeks of arrival.Our preferred method for payment is by bank transfer, but if paying by cheque, please allow 10 days for it to clear. All major dedit cards are accepted. Discounts available for visitors who stay for more than 7 days (this discount is not available forJuly, August, New Year or Christmas). Call freephone 0800 980 4846 to make a booking or for more information.